When you want an immaculate and flourishing lawn, simply mowing and watering it will not always do the trick. A lush, vibrant green lawn needs regular fertilization, weed control, and other lawn care services in order to keep it looking that way. Our lawn care experts have the knowledge and experience that it takes to help keep any lawn looking like it belongs on the front cover of a landscaping magazine. When you want the best looking lawn around, trust the best lawn care company in Broward County. At Paradise Pest Control & Fertilization, we specialize in quality lawn care, and can help your lawn see the results that you desire. Keeping your lawn attractive and healthy without help can be difficult. Not all lawn care products and techniques are created equal, and if you are not using the right ones, you may not see the results that you want. 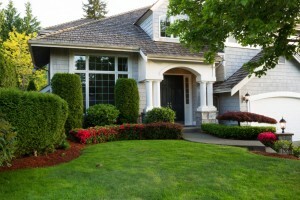 In addition to ensuring that your lawn looks beautiful and well-cared for, we also look after the health of your lawn. We provide fertilizing, weed control, pest control, and disease control services for your lawn so that you don’t have to. Our pest control experts can create a lawn care program that is customized to the needs of your lawn. We take into account the type of soil, turf, and outside factors like pet damage, insects, and weeds to ensure that your lawn receives the care it deserves. Expert Lawn Care – We have been providing reputable and quality lawn care services in Broward County since 2010. Your lawn will be in good hands with our lawn care experts. 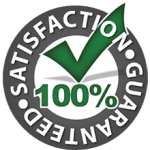 Proven Professional Products – Our lawn care experts will evaluate your lawn and use only the best lawn care products for any issues it may have. By using the proper fertilizers and pest control products for your lawn, we can provide amazing, professional results. Regular Service – We are available to come service your lawn as often as you need or want. We can create a schedule, or visit you on an as-needed basis. Cost Efficiency – With our lawn care experts taking care of your lawn, you no longer have to spend money on costly lawn care products and equipment. We will work with you to create a lawn care program that is perfect for your budget. Our lawn care services are tailored and customized to provide the best results for our customers. If you are lacking a green thumb, or if you simply don’t have the time to help your lawn flourish, let us take care of your lawn for you! 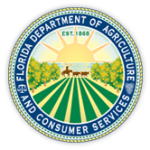 Call us today at (954) 353-3781 to schedule a no-obligation evaluation and learn why our customers consider us the best lawn care company in Broward County!